ROH (Ring of Honor) is preparing for their next TV taping, which takes place at Sam’s Town Live in Las Vegas, Nevada on March 16th. The Baltimore-based promotion has announced a slate of matches heading into the show. Some of these matches include RUSH vs. Mark Haskins, ROH World Six-Man Tag Team Champions The Kingdom (Matt Taven, TK O’Ryan, and Vinny Marseglia) defending against Villain Enterprises (Marty Scurll, PCO, and Brody King. Also, ROH World Tag Team Champions The Briscoes (Jay & Mark Briscoe) taking on ROH World TV Champion Jeff Cobb and NWA National Champion Willie Mack in a Crockett Cup Qualifying Match. 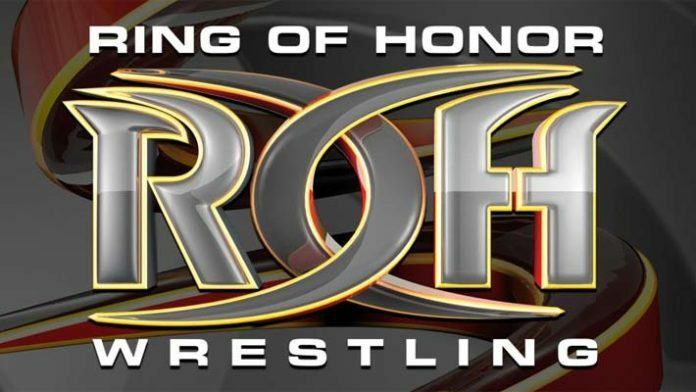 ROH will hold Meet & Greets for fans at 5pm while the show kicks off two hours later. The promotion will be announcing more matches for this TV taping in the coming days. The company will also hold their 17 Anniversary pay-per-view event at Sam’s Town Live in Las Vegas, Nevada the night before. In the press release that was issued by ROH, it was noted that these events “will have an impact on the historic” event G1 Supercard, which is the big show co-promoted by ROH and New Japan Pro Wrestling, at sold-out Madison Square Garden in New York City on April 6th during WrestleMania 35 weekend.